One subject that's been coming up a lot for me lately is the importance of asking Tarot the right question. It can only be a helpful tool for life if you are prepared to do that and it's come to my attention that many querents don't.. It's easy to become fixated on the focus area that's troubling you, but recognising that it's troubling you fairly consistently also means having to accept that you need to move beyond it. I truly believe that you can't have the best future possible if you haven't yet dealt with the negatives from your past that drag you down in the present. I strongly advocate querents raking over old ground in order to level it and make it suitable to build on. This is an important part of the process. But how much is too much? Recently I've been helping several querents who feel the deep-seated needed to address a relationship from the distant past, analysing why it went wrong, what they could have done differently and what the future of the connection might hold. Although I appreciate the importance of finding closure, one querent in particular has entered into a discussion with me regarding her apparent inability to accept the answers and put the issue to bed. I don't have many qualms these days about telling a querent that they should recognise the counter-productive act of asking the same question or fixating on some element of the past that is already dead and gone. It's not easy to accept that some element of your past didn't bear fruit or go the way you wanted it to. But that recognition can lead directly to higher ground, so it's worth a try. There's only so much time you can devote to 'looking through the photo album' and only so many tears that should ideally be shed over a situation that hurt you. If you're a querent who continuously wishes to explore the same subject, or you're currently working for a querent who seems unable to move on, I'd suggest promoting honest discussion on this. 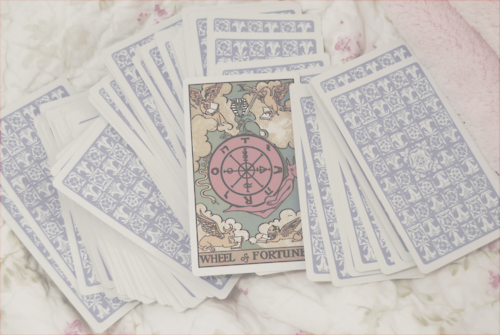 Tarot is a bottomless well of information and suggestions, but if you're not actually seeking the answer but instead seeking to prolong your own pain by staying stuck in the past, Tarot can't do anything for you except frustrate and upset you.